What’s fun is that while traveling through Georgetown & Melaka, Malaysia, this was the mode of local transport we saw offered to visitors. After all the good eating we did there, I think we could’ve considered biking ourselves about! 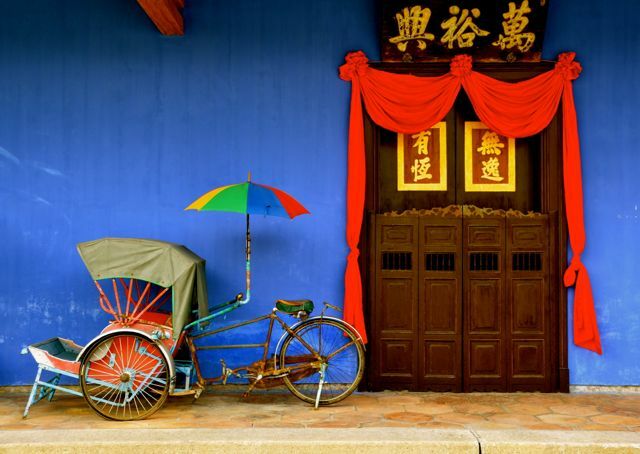 isn’t the juxtaposition of this old school bicycle next to this elaborate door quite cool too? !